Take a quick photo tour of our studio located in Imperial. 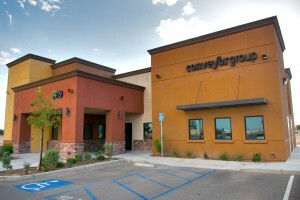 Stop by and say "hi". Conveyor Group was built in the Imperial Business Park located on Aten Road in Imperial between Imperial Avenue and LaBrucherie Road. We opened our Imperial doors in 2007, 10 years after we began in El Centro. 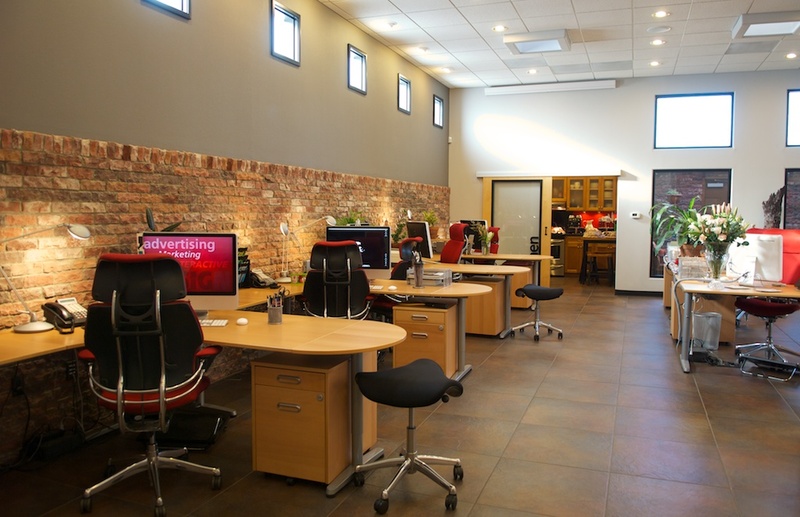 Our modern building was designed by Aaron Popejoy and fulfilled a long-time dream to build a local agency that can provide and produce like a large city agency. 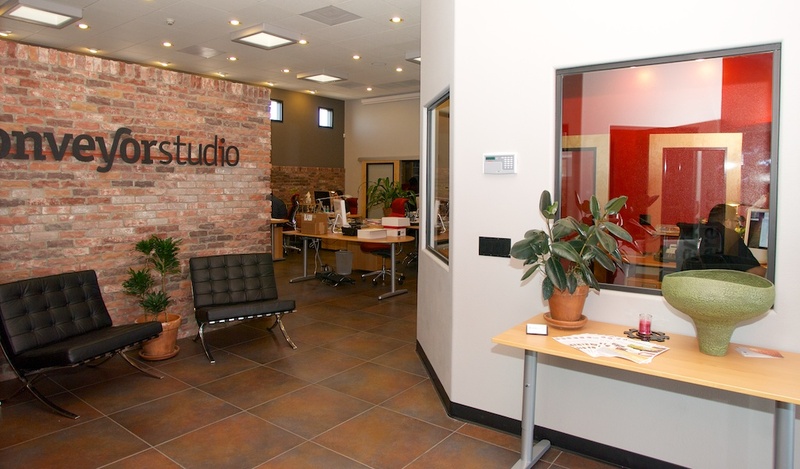 Our studio was built to be open with many windows to allow for natural light. Our conference room fits eight comfortably and is used for meetings and website trainings regularly. 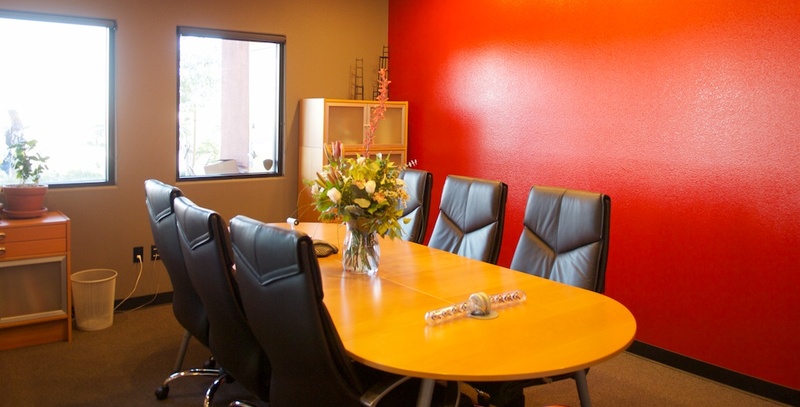 On occasion, said conference room serves as a gaming room for afterhours bonding. Our studio intentionally has few offices for those who may require privacy throughout the day; however, those offices are open and bright reflecting the personality of the studio. Our Creative Director and Studio Manager are the first desks up front. 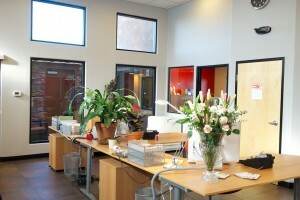 The open floor was designed, again, to avoide the corporate feel of cubicles. Our back wall is lined with our creatives - developers, designers and illustrators working together to create quality products for our clients. Our audio video station is built on one side of the building next to our photo/video studio and features custom walls for sound. 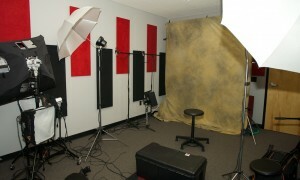 In the studio we can shoot video with a background or green screen and handle in-house photography. We have a light box for those small product photos and the walls are built to control sound when recording video or audio. 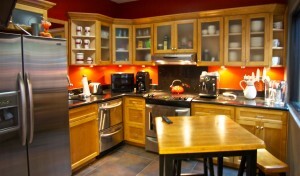 For those needed breaks in between creative development (and lunch) we have a full kitchen for employees to use. It's work with the comforts of home. 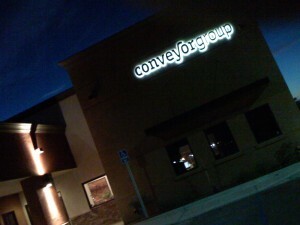 Just a visual of our studio at night.